We are delighted and privileged to have worked with a wide range of Local Authorities across the UK to help deliver and promote their individual Local Sustainable Transport Fund (LSTF) projects, ranging from printed literature to fully interactive mapping websites. 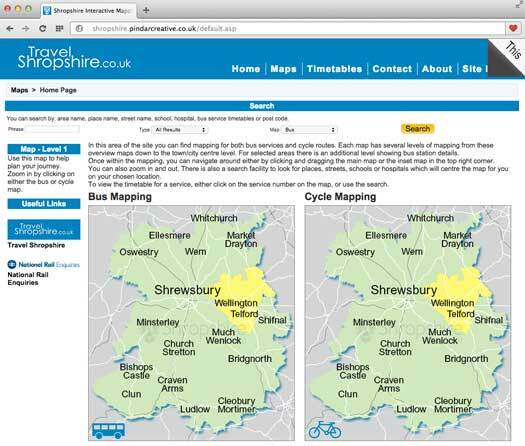 Pindar Creative developed the Shropshire Council Interactive & Sustainable Travel Website which incorporates newly created multi-purpose mapping, and provides integrated transport and travel information to help people travel to and around Shropshire. The website helps promote sustainable transport as part of Shropshire Council's Local Sustainable Transport Fund (LSTF) initiative. The mapping is already been utilised for further publicity products to produce leaflets for town maps and cycling publicity in a variety of different styles and formats offering the client maximum flexibility. Pindar Creative also offer an updating system using a weekly ATCO CIF supply to update the system cost effectively without unnecessary resource issues. We have designed and produced a Weymouth Area Travel Guide aimed at encouraging visitors to travel sustainably when visiting tourist destinations in Dorset from Weymouth. 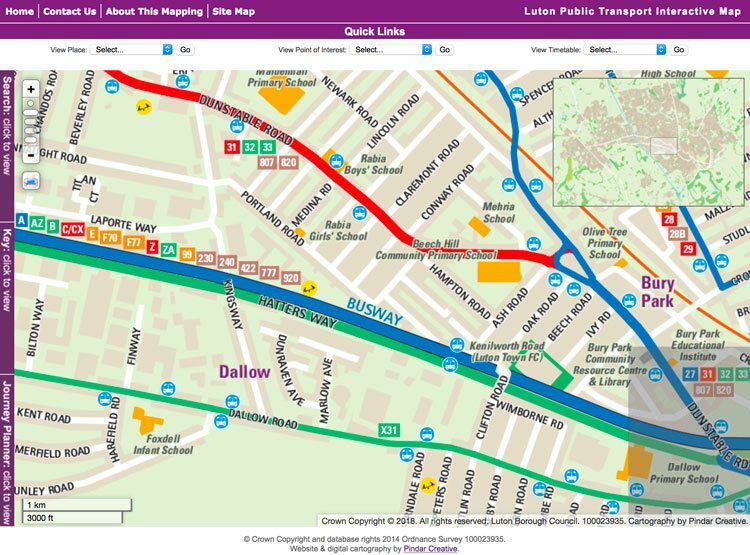 The guide is designed to give the user information on available bus and rail routes to visitor attractions, giving detailed information including journey times, detailed maps showing attractions and bus routes, public transport options including walk times from bus stop to end destination. 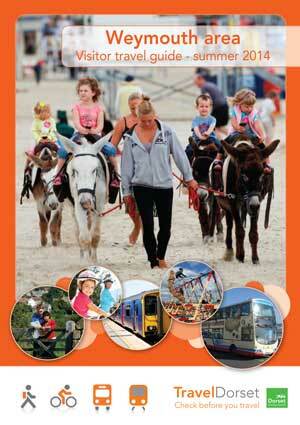 The guides have been distributed to Tourist Information Centres and Holiday Parks in the local area. Pindar Creative has mapped the city of Southampton using GIS data and created 'Travel To' School Leaflet and Wall chart templates to enable schools to produce their own bespoke 'Travel To' leaflets. The leaflets are aimed at encouraging staff and visitors to travel sustainably. The printed leaflets can also be converted into one of our interactive website templates, which can be embedded into your website using an iFrame. The website functionality can include a pan-able map, clickable hotspots and drop down tabs containing the text information from the reverse of the leaflet artwork. Pindar Creative designed and produced a leaflet to promote the new day ticket called 'AvonRider' offering unlimited travel across a range of bus operators in Bristol, Bath & North East Somerset, South Gloucestershire and North Somerset. Pindar Creative developed a new interactive sustainable transport mapping solution on behalf of Luton Borough Council for the Luton area. This has been delivered as part of their ongoing 'Travel Luton' project. The site, based on our 'TravelMaster' product is built upon a responsive design to ensure the solution works across desktops, tablets and mobile devices. Pan-able mapping & map scale. Multiple map layers showing different scales of mapping. Clickable Hotspots (linking to timetables, regional journey planners, external websites). Search functionality (locations and places, timetables and postcodes). Quick Link to locations, points of interest and timetables.